Glenford has been involved in the residential design and construction business since 1985. Started his own business in 1990 part time and went full time in 1998. What began as an architectural career later expanded into the home inspection business, where I spend most of my time. Currently my partner and I operate both businesses, providing architectural design services and home inspections services for potential purchasers. In our Architectural business we try to provide design solutions that respond to the unique needs of our clients. In home inspections, we have found an opportunity to educate potential buyers. Far too many purchase homes, only to find out after the sale is complete, the things they should have known before hand. New Construction Inspections, foundation, framing, and complete final Inspections. Maryland home inspector. Having taught in both high school and at the collegiate level, I try to enhance the home inspection experience by using my experience as an educator combined with my architectural experience, to better educate my customers and not hand them a list of issues. It is our belief that a good inspector is simultaneously a good communicator, who can combine the technical aspects with the non technical, while presenting a complete picture of the customers new home. Glenford Blanc is being interviewed by Preston Sandlin of Home Inspection Carolina and Ask the Charlotte Inspector. Aardvark Home Inspectors Inc. \ Aardvark Pest Control Inc. Many individuals do not know how to evaluate the condition of a home, and not one homeowner likes unforeseen expensive repairs. Aardvark’s home inspectors are trained to examine and evaluate all the major components of the home. Our professional home inspectors will likely find conditions that the seller or purchaser may not have noticed. Joe Mishak is being interviewed by Preston Sandlin of Home Inspection Carolina and Ask the Charlotte Inspector. 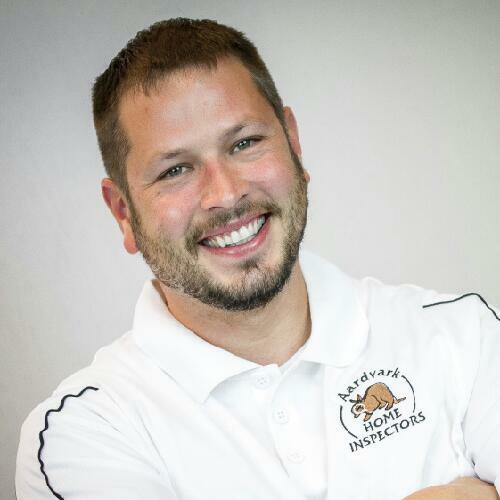 Michael Wicklund is the owner and operator of STERLING Home Inspection Services. Michael began his career in the construction field. He is a third generation carpenter following in his father and grandfather’s footsteps. As a self-employed remolding contractor his focus was on kitchen and bath remodels. With experience in these areas he was continually called upon to bid jobs related to real estate transactions. This work is commonly referred to as real estate work orders, i.e. any item generated from a home inspection or pest inspection. After seventeen years of remodeling and repairs from other inspector’s reports, and feeling the need for a career change the natural path was for him to become a home inspector himself. 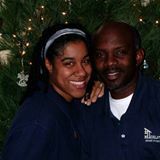 With his past construction experience he decided to attend home inspection school, he chose Inspection Training Associates ITA because of their high quality of training in the inspection industry. There he received certification allowing him to become a well-rounded home inspector. In addition, he acquired the necessary licensing from the Washington State Department of Agriculture, which allows him to perform structural pest inspections (WDO inspections). Education is a high priority to Michael; he frequently attends continuing education classes, so he can stay up to date on the most current building practices. Michael finds great satisfaction as a full time home inspector educating perspective homebuyers. Home inspectors are NOT created equal! States require little or no educational requirements for home inspection companies. You should choose your inspector carefully. Michael Wicklund was formally trained and certified by Inspection Training Associates (ITA), a leader in the home inspection training field. He is also licensed by the Washington State Department of Agriculture to perform structural home inspections. Michael Wicklund was trained by Michael Leavitt & Co to safely collect surface wipe samples for the presence of methamphetamine residue in both residential and commercial structures. Michael Wicklund is being interviewed by Preston Sandlin of Home Inspection Carolina and Ask the Charlotte Inspector.